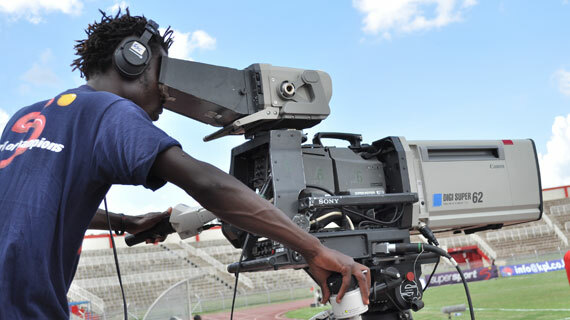 When South African pay television channel SuperSport recently announced that they were terminating their contract with the Kenyan Premier League, which has been in existence since 2007 and which gave them the exclusive rights to broadcast matches of the Kenyan top-tier league, shock and disbelief greeted the football industry. This is so because after investing in the Kenyan league for ten years, pumping in colossal sums to the tune of billions, no one foresaw their coming exit. With their untimely departure, adverse financial effects will no doubt be felt on the nascent league, which had hitherto relied on the grants from the pay television channel for the past decade. In justifying their exit, the giant pay television cited “breach of contract” by their KPL partners; but if their recent moves in Africa is anything to go by, then the decision may have been guided by their commercial interests. In a brief statement, SuperSport’s legal advisor Phillip Seleke said they had withdrawn from the partnership because of a recent court ruling, which declared that KPL wasn’t the “bona fide owners” of the top-flight football league. “The situation became untenable and it put SuperSport at risk; therefore we had no option but to terminate the contract. SuperSport will continue in its commitment to providing the best sports content in Africa via platforms with cutting-edge technology and on multiple devices,” the brief statement said. “You (KPL) warranted us contractually that the KPL is the only body recognised by Fifa to run, administer and be responsible for the administration of professional club football in Kenya, which warranty is directly contradicted by the relevant SDT (Sports and Disputes Tribunal) Ruling and the views of Fifa. You are accordingly in breach of our Licence agreement and we must unfortunately herewith terminate our contractual relationship,” read the statement by Seleke. The exit comes hot in the heels of closing shop in more lucrative markets such as Ghana and most recently, in the football mad Nigeria, whose population is approximated to stand above 173.6 million, according to a 2013 census. In Kenya, it is believed that the massive drop in the number of Dstv subscribers, who have found it too expensive, could have driven the dwindling fortunes of pay television. 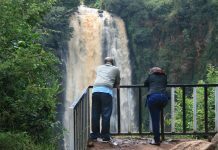 By raising its premium bouquet rates to Sh10,000, and with the tough economic situation currently biting, most of Kenya’s middle class households discarded their dishes. Add this to the fact that the Kenyan league is still at a development stage and therefore not attractive to the rest of the world, and you get to understand what it means. By closing shop in Kenya, SuperSport has not only left several households staring at tough financial times as it has rendered over 200 employees jobless, but has also forced to ferry its broadcast equipment to Zambia, which alongside, South Africa, are the only markets in Africa where they still retain strong footing. Their closing shop in most African countries could be construed to mean that the South African company does not find the Africa leagues competitive enough. This is so because, just two weeks ago, they extended their contract with the English FA to continue broadcasting the English Premier League across Sub Saharan Africa until 2022. In this deal, SuperSport will show all 380 Premier League matches per season on its linear television channels, as well as its online and mobile platforms. “SuperSport is proud to have been a partner of the Premier League since its inception 25 years ago and we know our customers love this league. “We’re delighted to continue this partnership for a further five years, as a sign of our commitment to continue to provide our loyal DStv and GOtv customers throughout the continent with the best sporting action from around the world,” Gideon Khobane, the chief executive of SuperSport said after the extension of the deal. The pay channel pumps Sh300 million annually to the Kenyan league and, by terminating its contract, which was to run until 2021, the Kenyan league has lost approximately Sh1.2 billion in revenue. Of the monies they give to the KPL, 70 per cent is channelled to the clubs, with each of the 16 top-tier clubs receiving an annual grant of Sh8 million, and 30 per cent going to secretariat. However, for some clubs which have in the last two years operated on a shoestring budget owing to lack of shirt sponsors such as Sofapaka, and Nairobi City Stars (which has since been relegated to the National Super League), the grants from Supersport were the only source of steady revenue. As things stand, Sofapaka have been lucky to land a three-year shirt sponsorship deal valued at Sh50 million from gaming firm Betika but this is still a drop in the ocean compared to the costs involved in running a football team. And with an expanded league of 18 teams, of which some clubs – Zoo Kericho, Kakamega Homeboyz and Kariobangi Sharks – lacking shirt sponsors, things are bound to get murkier as paying players wages will now be a truly uphill task. While acknowledging the tough task at hand, KPL CEO Jack Oguda opines that clubs will have to devise ways of raising additional revenue in order to stay afloat. “It is a challenge both to clubs and the league. It means we have to readjust our budget and also means that the clubs have to work hard to get additional sources of revenue,” Oguda said, adding that he does not share into SuperSport’s claim that it’s a contract breach that drove them out of the Kenyan market. SuperSport’s move also puts at risk the lucrative five -year sponsorship deal between the KPL and gaming firm SportPesa estimated to be Sh500million, which was entered into in 2015, making the latter become the league’s title sponsors. By sponsoring the league and popular clubs Gor Mahia (Sh340m) and AFC Leopards (Sh260m), SportPesa had hoped to tap into the massive publicity offered to the three products whenever the matches are aired on television. Though SportPesa are yet to openly comment on the matter, sources intimate to the Nairobi Law Monthly that the giant betting firm is exploring ways of having the contract renegotiated as they stand to lose with the current state of affairs. On this, Oguda says, “We have not heard any communication from SportPesa; we have sought a meeting on the away forward but they have not given us an indication that they will pull out. The ramifications means that we reduce the grants and prizes but we are yet to do that as the financial committee is yet to sit and deliberate,” said Oguda. Football Kenya Federation President Nick Mwendwa says that his body is doing all it can to ensure that contractual matters are negotiated properly and with the “right institutions” even as they look at possible remedies. In order to aid the smooth run of the league, Mwendwa says that the federation has so far channelled Sh5 million to league body with a further Sh20m to be provided as part of the agreement with the KPL and the Sports Disputes Tribunal (SDT) – which saw the top-tier competition expanded from a 16 to an 18-team league. Players like Eric Ouma ‘Marcelo’, Michael ‘Engineer’ Olunga and Aboud Omar, among many others, have in the recent past turned professional due to the foundation and platform offered by TV coverage. It remains to be seen how the pull-out by SuperSport will affect growth and recognition of local talent.